Once baby completes 6 months, only breast milk is not sufficient for its growth. The biggest question in mothers mind regarding weaning is, what to serve and how to serve solid food for the first time to our tender love. As kids grow up, their taste buds also become active. They would want a change. Here is another recipe of Ragi for young kids, Ragi Chocolate. Here is a very Healthy Meal Idea for infants. Take 1 measure of all the above items(Say 100 gms) separately and wash them thoroughly. Remove the water(Drain it) from all items and get all the above items sprouted by keeping it warm for another 8 hours. Let all the items dry separately under sun for a day. Roast all the items separately over stove till it turns to slight brown. Roast above given nuts, half the measure of other grains (say 50 gms). Grind all the items to fine powder. Take 2 table spoon of above powder. Mix it in warm milk to not to form lumps. Move the container over stove on a low flame. When it comes to semi solid state, turn off the stove. A healthy meal for a toddler is ready with wonderful aroma. Serve the child warm porrdge, ghee, salt or cardmom if needed. 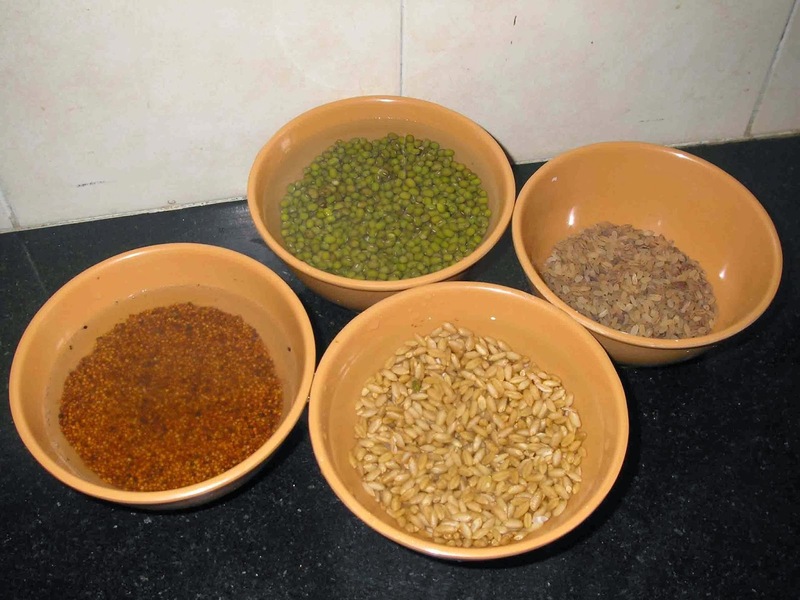 PS: To start with, take only 1 type of grain, if baby can digest then only add next one and continue. This recipe can be given thrice a day till 2 years along with other fruits and vegetables. After 2 years, when our baby is completely on regular food, then also we can give this porridge once a day. Because this recipe is very much rich in all the Vitamins and Proteins. Thanks for your helpful resources article. Every pepole need to read a blog that is keeping your healthy body & growth brain have a helpful. Thanks a lot! Nice post thank you for your informative blog keep sharing your valuable blog.